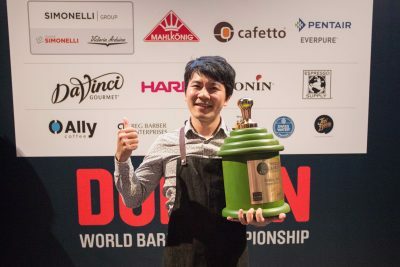 The City of Dublin was full of competitive spirit last week, and we’re not just talking Football: on June 26th, a new World Barista Champion and World Brewers Cup Champion were crowned at the Speciality Coffee Association of Europe’s World of Coffee show. The World Barista Championship (WBC), now in its 17th year, saw a record sixty-one (61) champions from across the globe competing, with Berg Wu of Simple Kaffa in Taiwan emerging victorious using a washed geisha coffee from Finca Debora in Panama, while Tetsu Kasuya of Coffee Factory in Japan triumphed over a record thirty-six (36) competitors in the 6th annual World Brewers Cup, brought to you by Hario, with a naturally processed geisha coffee from the Ninety Plus Geisha Estate in Panama. A record ninety-thousand (90,000) viewers tuned in to watch the competitions online, joining thousands of attendees at the show in cheering the champions on. 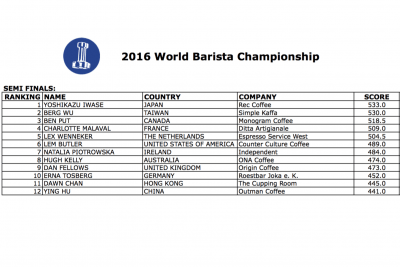 The online viewership was nearly 40% East-Asian across all platforms, and Asian champions dominated many aspects of competition this year, with Yoshikazu Iwase of Japan taking second place in the World Barista Championship, and at the World Brewers Cup, Chad Wang from Taiwan came in 3rd and Benny Wong from Hong Kong was 4th. 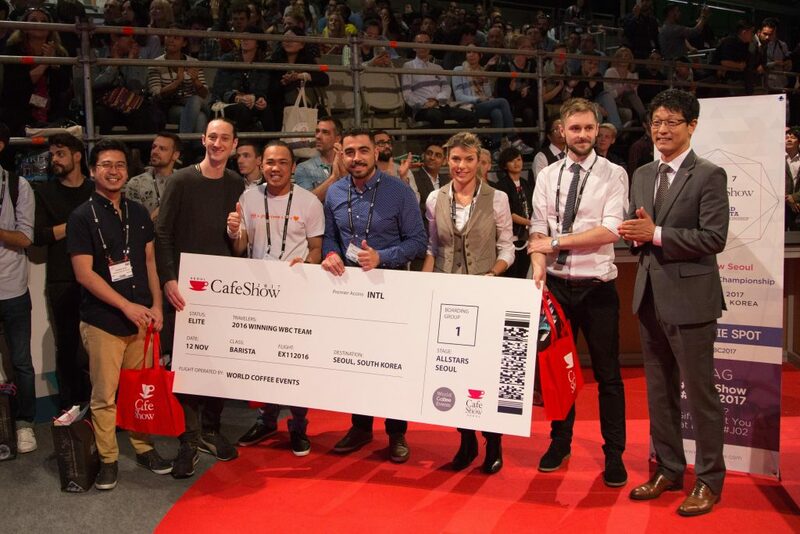 World Coffee Events is particularly excited to bring the World Barista Championship to Asia next year, at Cafe Show Seoul in November of 2017. In the World Barista Championship, competitors have fifteen (15) minutes to serve four (4) sensory judges a round of straight espressos, a round of milk and espresso drinks, and then a completely free-form round of signature drinks. This is all prepared on a common kit of sponsored espresso machine from Nuova Simonelli and grinders from Mahlkönig, which has undergone a Qualified Testing process, along with cleaning supplies from Cafetto and water-purification from Pentair Everpure. Baristas’ usage of the equipment is monitored by one technical judge, and there is also a Head Judge who presides over the whole routine and ensures calibration across judges. Team Tamper. Photo by Jake Olson for World Coffee Events. 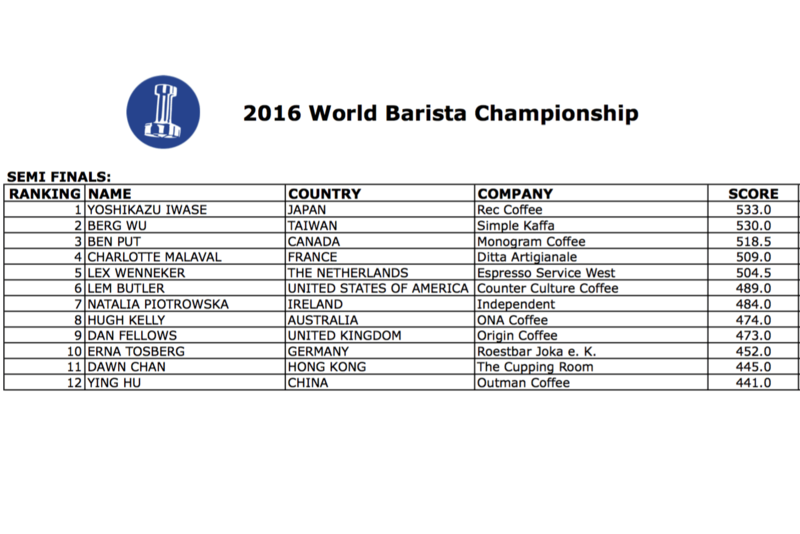 This year saw a number of innovations in the WBC competition: first and foremost was the introduction of the WBC Teams Competition, where the individual performance rankings of the champions in the First Round were combined for a team score, with all of the baristas divided into ten (10) teams. 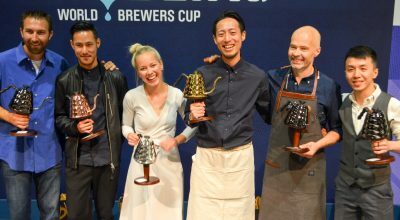 Team Tamper, comprising Charlotte Malaval of France, Lyndon of UAE, Yoshua Tanu of Indonesia, Steve Moloney of Sweden, Dan Fellows of The United Kingdom, and David Coelho of Portugal, won the competition, earning a trip to Seoul, South Korea, for the WBC All-Stars Event at the 2016 Café Show. 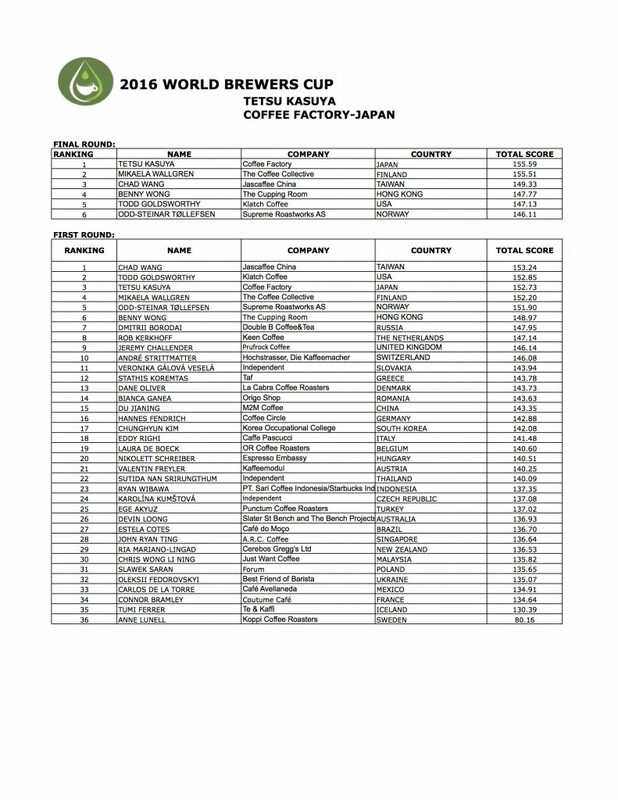 Livescoring, viewable online and in-venue was also introduced for the First Round of competition this year, and the more restrictive “cappuccino” course was replaced with the “milk beverage” course. The World Brewers Cup, brought to you by Hario, is all about the craft of manually-brewed coffee. 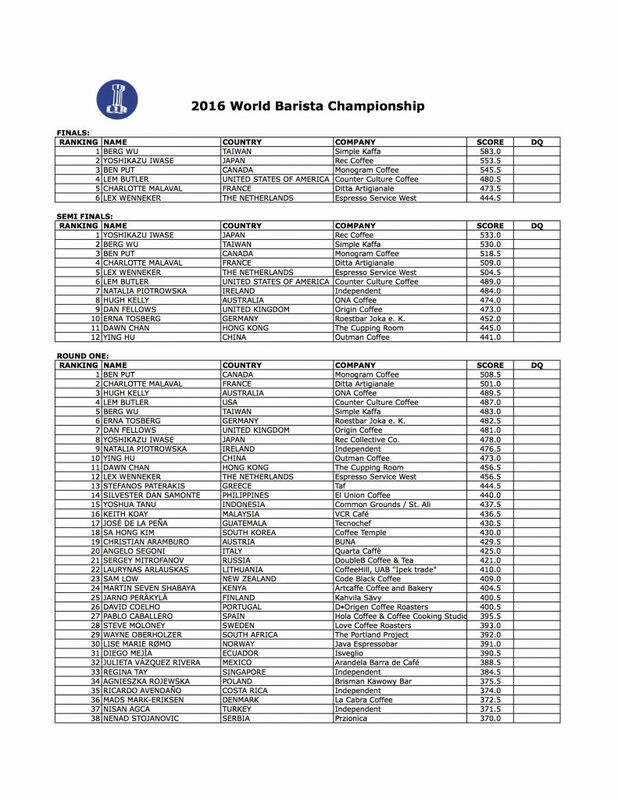 Competitors are free to use any style of manual brewing device and procedure they choose. First, each competitor brews their take on a common coffee, provided this year by Cafe Taf, which is then judged blind, in what is known as the “Compulsory Round.” Brewers then have the chance to compete in the “Open Round,” where they use a coffee of their choice and present it to a panel of judges much as in the World Barista Championship. Since there are only two ingredients here—water and coffee—filtration, provided by Brita Professional, and cleaning, provided by Cafetto, become of utmost importance. These events would not happen without the tremendous efforts of a dedicated group of Judges, Stage & Bar Managers, Station Runners, and Volunteers of all sorts. 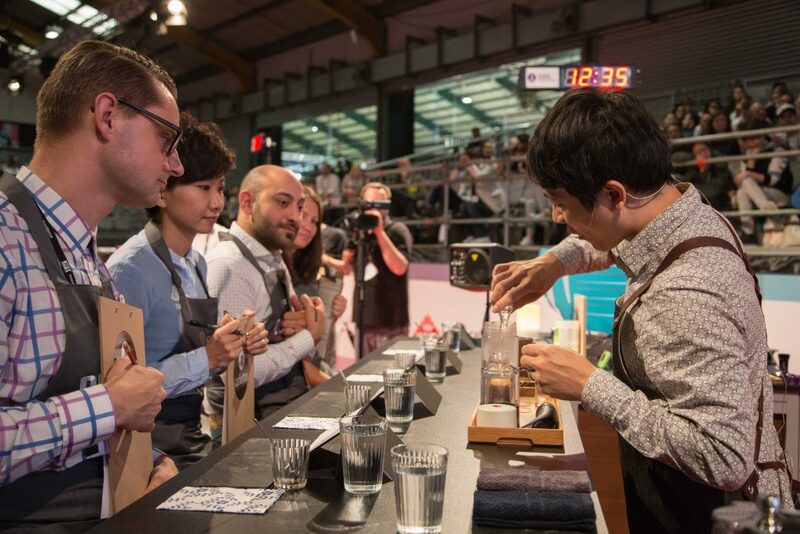 World Coffee Events is proud to help support these community events every year, and we couldn’t be more excited to have Berg Wu and Tetsu Kasuya as ambassadors of Speciality Coffee this year. 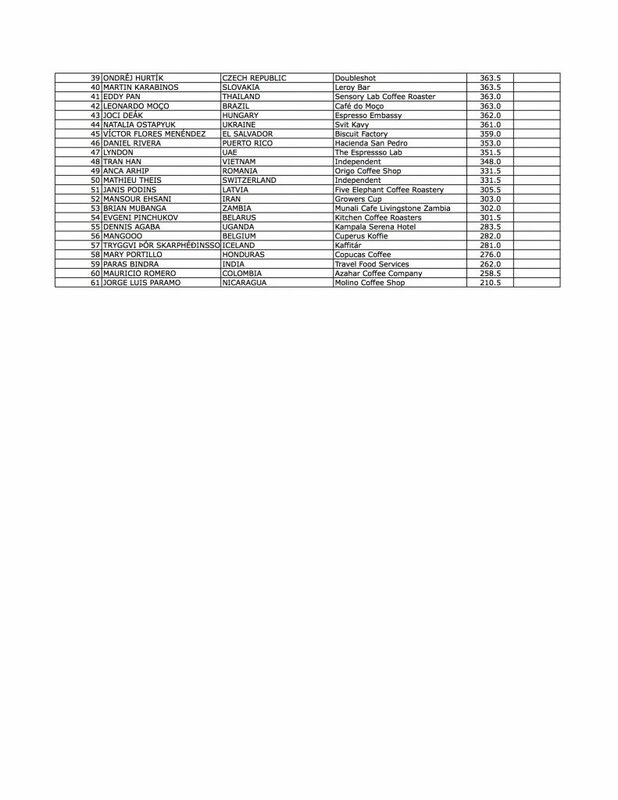 For more information about the events, head to our Dublin Portal, https://www.worldcoffeeevents.org/Dublin. For highlights and more, follow along on Twitter, Facebook (WBC) and Instagram, and check out #WBCDublin and #WBRCDublin.